Anti-nuclear activists say we should bet the fate of the planet on the assumption their energy scenarios are correct and everyone else is wrong. But when pressed in private, even they do not believe themselves. This is the realisation I had after listening to Robert Stone, director of documentary Pandora’s Promise, debate an anti-nuclear activist at the screening of Promise in Paris during the COP21 climate negotiations. In the debate, Stone deftly argued that future generations will not forgive us if we do not try everything we can to avert dangerous climate change. Particularly if we fail, our children will curse us if there is any doubt we could have averted the horrors by trying just one more thing. In response, the anti-nuclear activist from WISE, an organisation adamantly opposed to giving nuclear power any role anywhere, argued that renewables could do everything — provided we are very careful about how much we use energy. In the energy scenarios he preferred, world energy use stays at current levels, even as the world population grows to nine or ten billion and the poor aspire to higher standards of living. No matter that aside from anti-nuclear activists and reports commissioned by them, not one credible scientific assessment believes the world energy use is even going to stagnate, let alone fall. As Robert Stone pointed out, in every other scenario the world energy use will grow as we get closer to 2050. The “WISE” activist nevertheless argued that we should not use all the means at our disposal, finally pleading that we need emission reductions in the next five to ten years and that can only be delivered from energy efficiency and renewables. 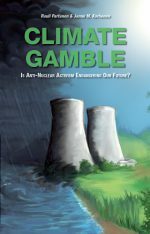 After the audience had departed, I remained with few others to hand out free copies of our book, Climate Gamble. It was then when I overheard a remarkable conversation: Robert Stone asked the departing activist to make a simple bet. In ten years, would the world energy consumption rise or fall from current levels? This was, I reiterate, a stunning admission. The activist had just spent nearly an hour arguing that there is no need to use all the low-carbon energy options we have, because we can reach our goals if only we lower our energy consumption enough. Furthermore, the next five to ten years are when the important things need to happen. Yet when pressed in private, the activist flatly refused to believe himself the only hope he was giving to humanity at large. He directly admitted the future he wants isn’t going to happen, yet he still opposes any alternatives. I’ve heard similar duplicity before in this matter, as have many others. Robert Stone in fact cited the disparity between public and private statements as a reason why a previously anti-nuclear filmmaker would make a strongly pro-nuclear documentary. His previous project had been a documentary about the history of the environmental movement in North America. During filming, he had spoken to nearly every person of importance in the movement. These were the people who are publicly optimistic about the progress of renewable energy and flat out refuse to consider any need for nuclear power even as climate pledge after pledge fails to produce meaningful results. Yet without exception, Stone said, in private conversations they believed the humanity is doomed. Many have chosen not to have children. There were some optimists, though. A minority believed there was hope, even if it might require us to thread a very careful path through the future. These people had seen what nuclear energy could do. I well recall my own Damascus moment in this matter. After doing the math myself, it became apparent the lofty promises of renewable-only supporters were at best a gamble with extraordinary low odds and stupendously high stakes. Despair resulted; I seriously considered quitting the civilisation and moving to a lakeside cabin to practice fishing. Finally, I began to take a serious look at nuclear energy and realised the very same gamblers have been distorting, omitting and simply refusing very important facts about it. These gamblers are the heirs of the successful environmental movement of the 1980s, a movement where opposition to nuclear power is an unquestionable axiom. As someone with graduate studies in organisation science, I perfectly understand how these values continue to influence and distort decision-making today. But if the end result is that even the outspoken activists do not believe what they are saying would ever happen, I’d say any person seriously concerned about the environment should take a very hard look at their beliefs and ask the simple question: are there any alternative strategies that give us more options, more hope? I ask the readers: when in a debate about the energy/climate question, please ask the anti-nuclear side the same question. Does he or she believe the world energy use is going to fall in ten years? If not, how he/she then can believe what s/he is proposing? EDIT: On a suggestion from a friend, I’d like to make perfectly, abundantly, 100% crystal clear the outcome of my own analysis of this matter: we definitely need at least almost every option we currently have. This means we must use renewables, we must practice energy conservation, and we must continue using and developing nuclear energy. We very likely are going to need carbon capture and storage (CCS) and probably we should also look into geoengineering, for insurance at least. I’ve stated numerous times in writing that I actually think renewables will and should be in the first line against climate change. But nuclear is such an important source of low-carbon energy that when we can build it, we should. I’m not for nuclear power; I’m against climate change, for the environment, and pro-humanity. Not to use all the options is an irresponsible gamble with the future of the planet at stake. 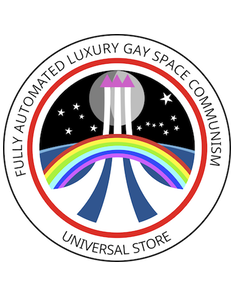 Not even to consider some of the options is even worse. Finally, I believe the activist from WISE is wrong: we have more than five to ten years to make a difference. Furthermore, if that’s all we have, the goose is cooked and so is everything else. The meme “we need only those options that we can build in five to ten years” seems to find support mostly because it conveniently allows one to discount nuclear power entirely, no matter that in just slightly longer timespans it can make a huge difference. This is illustrated by France, for example, which went from 20% to 80% low carbon electricity in 11 years. Contrast to Germany, which seeks to achieve the same goal by 2050. That’s 60 years after France. This entry was posted in Ecomodernism, Nuclear energy & weapons, What they aren't telling you about nuclear power and tagged climate change, COP21, Ecomodernism, Nuclear, Pandora's Promise, Paris, Renewables, Robert Stone, WISE. Bookmark the permalink. So given the attendees at this airing of Pandora Promise, this activist must be Yves Marignac. Are you worried he will sue for libel if you name him ? The five to ten year time frame is there for only one reason, to make the point that nuclear can’t be built within five to ten years. But neither can renewable, not in any significant way. But as this can be more easily hidden, the point is useful for anti-nuclear activists, for purely tactical reasons, nothing to see with actual facts. First off, moving to a lakeside cabin and going fishing sounds like a good idea no matter what the climate. Secondly, nuclear power is the only way to solve climate change – if we build nuclear for baseload, i.e. 60-80% of our electric power demands, we can fiddle around with the rest. The problem is there is so much money on the other side, coming from entrenched incumbents like the fossil fuel industry, who do not wish to go away and thus will oppose nuclear by whatever means possible.